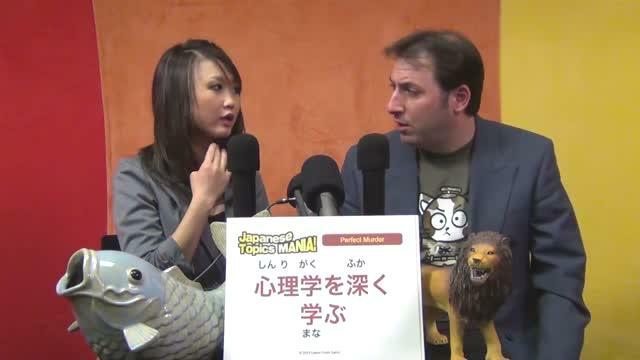 George and Mayu visit a George and Keiko topic from many years back. George and Mayu talk about some of the strange things they have notices about America and Americans. 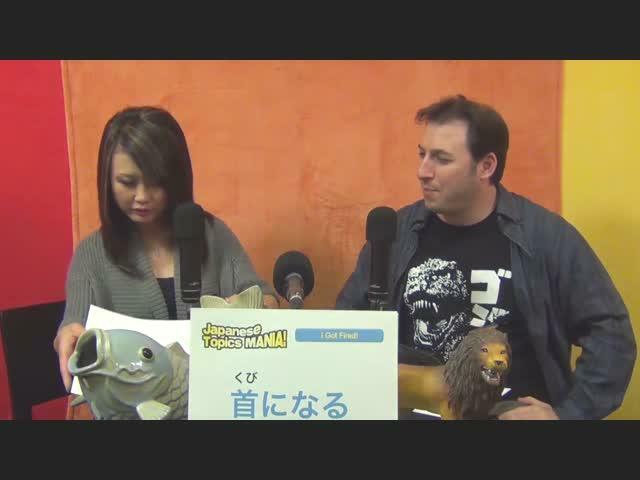 George and Mayu discuss their own bad habits in Japanese. 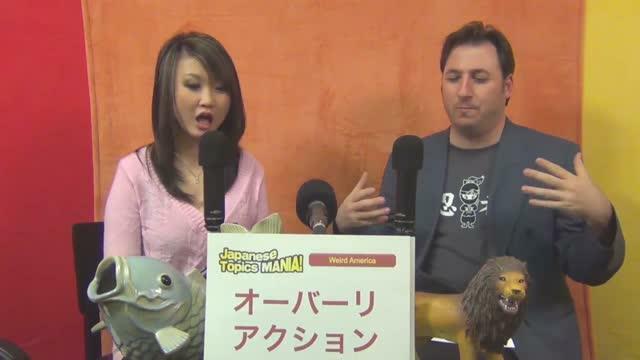 George and Mayu discuss words that might come up when talking about foreign countries. 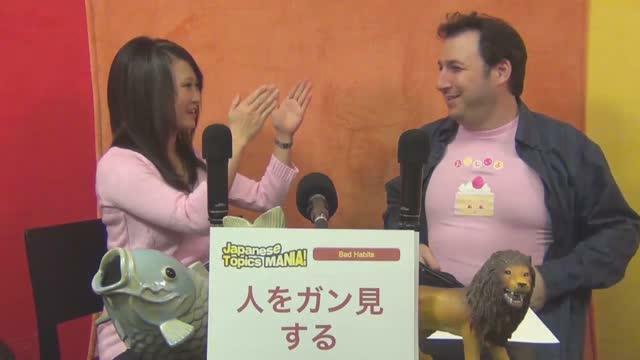 Japanese Topics Mania MAX - I Got Fired! George and Mayu discuss Mayu's unfortunate situation. 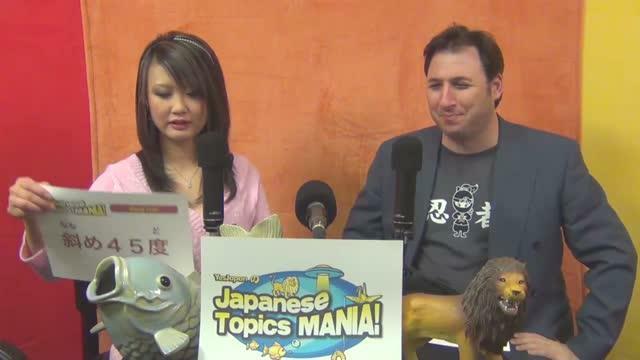 Japanese Topics Mania - Summer Special! 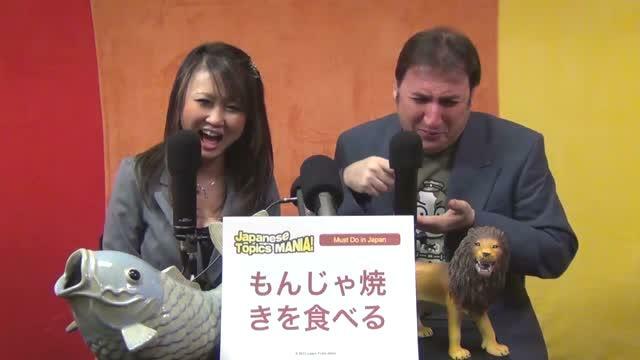 Japanese Topics Mania - Christmas Queen Challenge!